I am Brazilian by birth and British by choice. For 12 years I ran a property business, helping migrant find flatshares when moving to London. I sold the business in 2014.
help migrants improve their lives through entrepreneurship. 10 migrants were selected from different stages of business; from startups to established businesses. 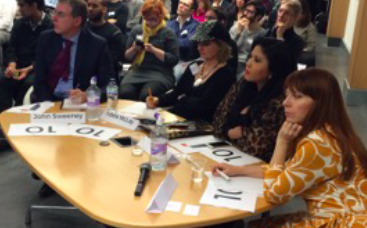 25 experienced British and migrant entrepreneurs donated 2 hours a month to mentor the migrants. We also ran workshops in marketing, finance and operation – led by successful entrepreneurs in their field of expertise. British culture, mindset, mission and vision, language, pitching and voice projection for presentations. Also resilience and cultural integration, so we could help our entrepreneurs to do business with other communities, not simply within their own. We helped migrants to develop business and soft skills. The project developed into a coworking space called mi[grant]-HUB. www.mi-hub.com. mi-HUB is the UK’s first coworking space that provides office (desk) space in combination with mentoring and business development. We create the networks needed for entrepreneurs to help each other. We hold events and provide training space (free workshops for all communities); we also run a business accelerator programme to help our entrepreneurs organise their businesses so they can raise finance. Our work also includes hosting events. In April we organised the ‘Migrant Business Show‘. 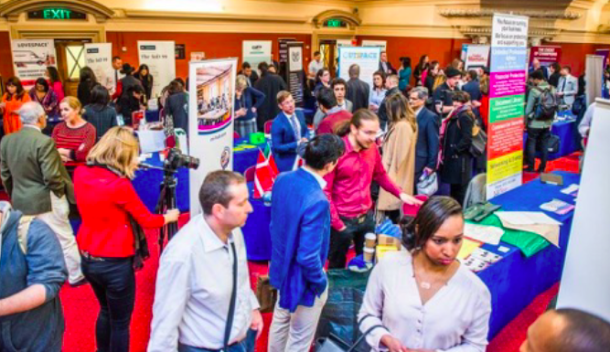 50 British and migrant entrepreneurs exhibited their small businesses to an audience of 1000 attendees. We achieved our goal: we connected communities to do more business together: Indians + Colombians + Brazilians + Africans + British, to name a few. We want to show the public that immigration is great for any country and that migrant entrepreneurs contribute to society by bringing their energy, culture, food, fun and their different ways of seeing and doing things Through developing and integrating migrant entrepreneurs, we help to maximise their potential but also to maximise the benefits that they bring to the hosting country. Migrants give more than they take – they help to keep the country moving forward, diversifying and improving – and we’re here to promote the cultural integration between British and migrants in professional business in a positive way. About the author: Rafael dos Santos is a Brazilian-British social entrepreneur and author whose mission is to change the lives of 1 million migrants over the next 10 years. Rafael was on the Sunday Times list of ‘Top 100 Most Inspiring Entrepreneurs in the UK’ by Centre for Entrepreneurs and Maserati Awards. First time I have heard about Rafael and his work in London. Indeed he is very inspiring. Working with migrants as I do in another part of the country is never easy particularly as there is so much bad press / publicity about them. Those of us working in this field very often feel frustrated and dismay over the lack of funding and support at the local level as most politicians from all parties try to turn a blind eye or will do the minimum to support causes concerning migrants. I wish Rafael well and hope and pray that he continues work that has started and we see many more entrepreneurs coming from migrant communities across the UK. I know exactly what you mean and I am determined to change the way people see migrants in this country.